to all screens and devices! Losing viewers means losing potential followers, fans, leads, customers. It can also mean losing advertising revenue, losing potential buyers of media assets or subscribers. Losing viewers means losing money. Don’t risk it! Have all content transcoded into numerous bitrates and then deliver it bitrate-adaptively through a global, high-performance CDN with no less than 20 delivery nodes distributed around major metro-areas across all continents. Each viewer has a different internet speed available, uses a different ISP, sits in a different geo-location. Make sure everyone can watch and that your content delivery automatically adapts to each viewer’s internet connection speed. Make sure to have all content transcoded into numerous formats for instant compatibility with all major browsers, screens and devices – including all mobile and OTT/ConnectedTV devices. Behind every device and screen sits a viewer. Often more than one. More devices, more screens means more viewers. ...allows you to accomplish everything with one single click. Our global, high-performance CDN consists of 52 datacenters with delivery nodes spread out across all continents around major metro areas. ...automatically adapts to each viewer’s geo location and internet speed. 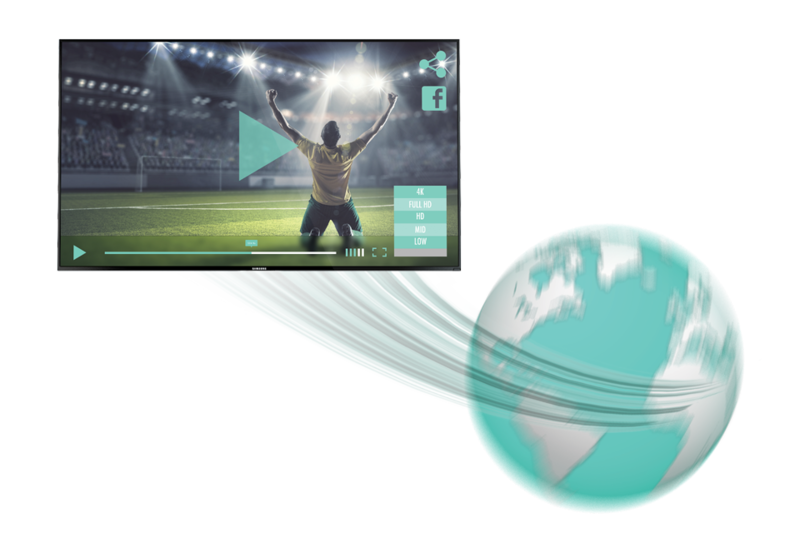 It sense each viewer’s available internet connection speed and delivers your on-demand- and live-content in the most ideal bitrate from the nearest datacenter to the viewer’s location, in order to ensure instant loadability and continuous playability without stuttering or buffering. ...is a Meta-CDN which consists of transcoding farms, central storage farms, backup farms, core-nodes and CDN supplement nodes with all redundancies, failover and backup entities in place to ensure maximum uptime guarantees and content protection. Our CDN also serves as a media cloud storage and offsite-backup solution. No matter what happens to your content elsewhere – we’ve got you covered and your content is safe, double-safe and triple-safe with MEGASTREAM. MEGASTREAM is an OVP & CDN with turnkey OTT, ConnectedTV Solutions and custom TV App Development Division. MEGASTREAM’s Media Cloud / Media Management System is powered and provided by Lightcast.com. MEGASTREAM USA is facilitated by Cross Media Corporation, Charlotte, NC, and is a property of the Cross Media Group.